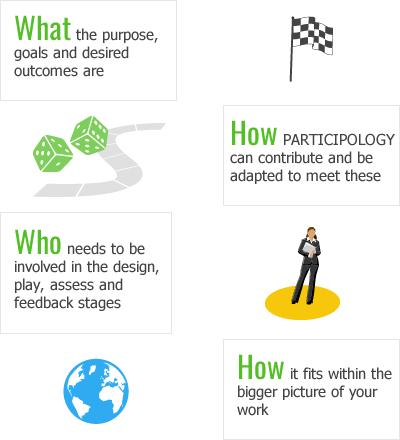 PARTICIPOLOGY is a set of resources that makes participative exercises more engaging, fun and effective. It revolves around using a board game format where players encounter questions/challenges as the dice throw dictates. The board, questions and rules of the game can be designed from scratch or existing templates can be adapted to your specific needs. Participation is most effective and rewarding when following some basic principles of good practice. We encourage you always to pay attention to these. 1. PARTICIPOLOGY is not an end in itself. It needs tailoring to meet your specific goals and resources. 2. 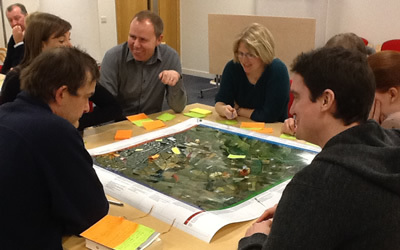 Consider the value of your participants designing the board, questions and scenarios themselves to maximise their buy in and to learn about the bigger picture of the exercise. 3. Use the game format to create a safe and non-threatening environment for deliberation and discussion. 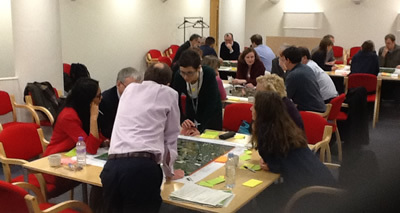 The game environment can help break silos and polarisation of issues to enable more positive exchanges within and across different sectors, publics and issues. Conflict is healthy in such situations and needs to be managed, not suppressed. 4. 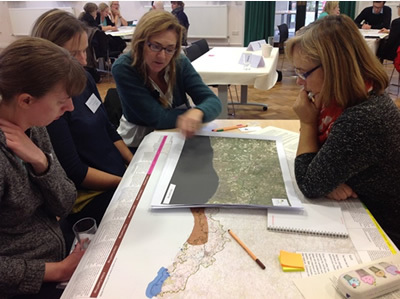 Use PARTICIPOLOGY to help maximise knowledge exchange through sharing your lessons. Upload your case studies and evaluations using our ready to use templates.